Running a bar in Nigeria can be very hectic but very rewarding in terms of cash. Not everyone would want to own a bar due to security issues and the time needed to run it. Running a bar in Nigeria is no cake walk as you would a whole lot of commitment. In running a bar, there are a whole lot of challenges involved in running a bar, from looking for a good spot, handling the legal issues involved etc. The first step in opening a bar is determining the concept or niche for your bar. Start thinking of what type of establishment you want it to be, the vibes you seek to attract and the consumers you want to target. Ensuring the right fit between your own passions and the actual look you wish to create is vital. Your concept shouldn’t be complicated. What are you going to name your bar? You don’t want to be too generic. Make it memorable and catchy. When defining your concept, focus more on a specific clientele and try to please everyone. Search for a location that will help you develop your identity and attract your target clientele. The best space and location should be in a busy neighborhood, near your home if possible for better management. Think of the renovation costs based on the type of space you get. When choosing location and space, think of affordability too. Look around the neighborhood to get an idea of what’s already running. Regardless of the bars around, you can thrive if you introduce something fresh and unique. Your starting capital will depend on the type of bar you’re opening. Factors like your target customers, the space size, the look of your bar and the beverage program will also determine the amount of equipment and inventory you need. Bar owners will tell you to take what you have and add another 20%-40% to it. How much work needs to be done? What kind of work? How much time will it take? These questions will also determine your initial capital. The biggest mistake most people make is starting with too little and failing along the way. Always have some backup cash to help you before you break even. You can’t start operating a bar in Lagos without the necessary permits. Though every state has its own licensing requirements. working with a lawyer helps you meet registration requirements and complete necessary paperwork. 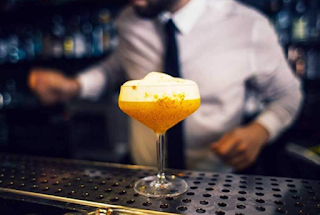 Getting the right permits to operate a bar, dealing with legal paperwork and understanding how to deal with taxes are some of the complex issues you have to deal with. An experienced liquor law attorney will help you complete the whole process. Getting a license can seem a bit frustrating, especially with community policing issues, but be patient and diligent. Remember not to sell alcohol to persons under the age of 18 when you eventually open your bar.